- We have 19 games in this category! 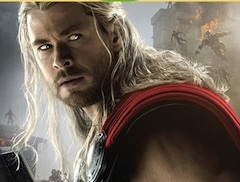 If you like our site, read more about Thor Games! 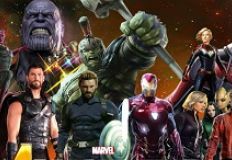 This time the new beautiful and fun category of games is dedicated to Thor, one of the superheroes you all love and one of the Avengers. Everyday we do our best to offer more new and fun categories of games as we have promised you. Our administrative team id happy to have you by our side playing all the fun games that we have to offer especially for you. 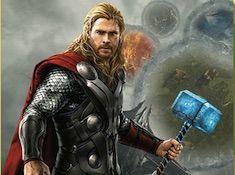 This time the new beautiful and fun category of games is dedicated to Thor, one of the superheroes you all love and one of the Avengers. 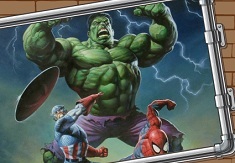 Here we will make sure you have all the superheroes games that you love, games in which Thor will be main character. 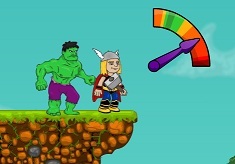 In this fun category you will get games with Thor from the animated serie as well as from the movies. 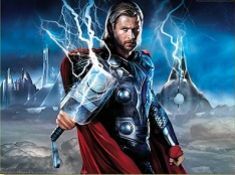 In Norse mythology, Thor is a hammer-wielding god associated with thunder, lightning, storms, oak trees, strength, the protection of mankind, and also hallowing, healing and fertility and from this myth all went to movies, books, stories , animated series and of course games nowadays. The young Thor was raised alongside Loki, who had been adopted by Odin after Loki's Frost Giant father Laufey had been killed in battle. 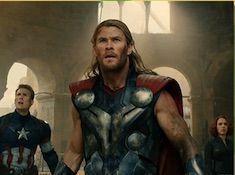 For all of their childhood, Loki was jealous of Thor. Loki's jealousy, which grew to hatred, resulted in a desire to kill Thor and that makes him Thors enemy, even if Thor cares for his as a brother . 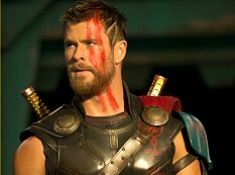 Odin's son Thor prepares to ascend to the throne of Asgard, but is interrupted when Frost Giants attempt to retrieve the Casket and angers Thor alot. 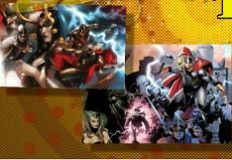 Against Odin's order, Thor travels to Jotunheim to confront Laufey, accompanied by his brother Loki, childhood friend Sif and the Warriors Three: Volstagg, Fandral, and Hogun where they fight and there seems like Thor and the Asgardians are about to lose. A battle ensues until Odin intervenes to save the Asgardians, destroying the fragile truce between the two races, very pissed of on his son. 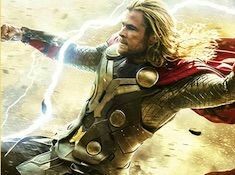 For Thor's arrogance, Odin strips him of his godly power and exiles him to Earth as a mortal, accompanied by his hammer Mjolnir, now protected by an enchantment that allows only the worthy to wield it, so that Thor could learn how to be responsible, and a true leader. Odin wants Thor to learn from this, see how humans leave withot power, learn to appreciate and love. 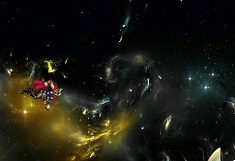 Thor lands in New Mexico, where astrophysicist Dr. Jane Foster, her assistant Darcy Lewis, and mentor Dr. Erik Selvig, find him. The local populace finds Mjolnir, which S.H.I.E.L.D. agent Phil Coulson soon commandeers before forcibly acquiring Jane's data about the wormhole that delivered Thor to Earth. 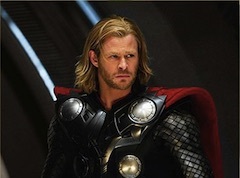 Thor, having discovered Mjolnir's nearby location, seeks to retrieve it from the facility that S.H.I.E.L.D. quickly constructed but he finds himself unable to lift it as his father had made it. Meanwhile Loki discovers who his real father was and decided to attack earth when Thor is weak and powerless and get rid of him for good. 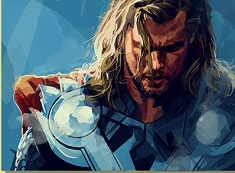 Therefore a battle starts and slowly Thor realizes how selfish he was and becomes a better persone, a better god. 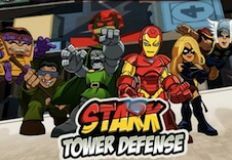 In this ne and fun category of games that we have to offer especially for you, we hope that you will have a lot of fun playing with your friends from the series with Thor! 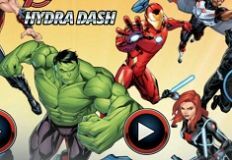 The administrative team has added 19 Thor Games for kids, but promises to add new titles every day in this category for children. 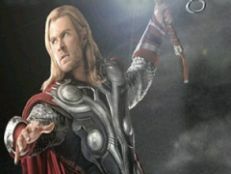 Follow carefully our website, select your favorite title from the series Thor and play with other children on this site. You can always recommend this site to your friends and invite them to play because here we have the largest collection of free titles for girls and boys.